Tomas Kapus from Colwyn Bay passed the ADI part 2 test today in Rhyl. 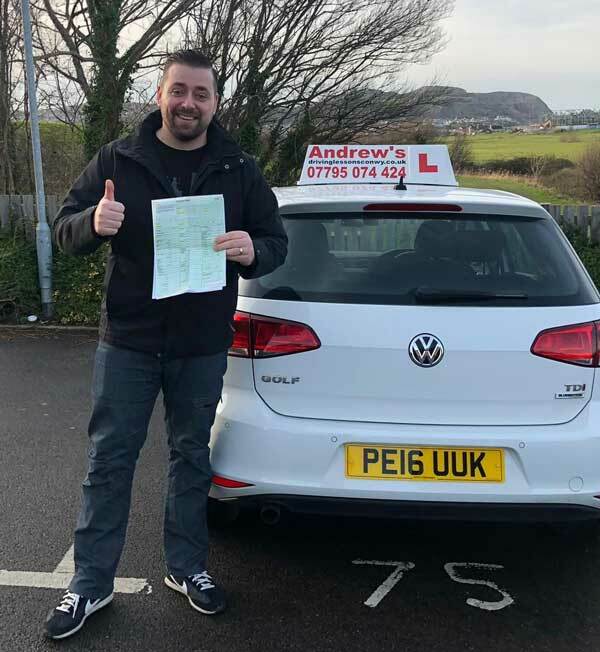 Tomas passed on 11th February 2019 after a short pay as you go driving instructor training course in North Wales. Hotel bar manager Tomas passed with flying colours and is now well prepared to start his part 3 training to become a fully qualified driving instructor. Sasi Driving test in Rhyl.